I was trained to work under pressure to meet a deadline at the culinary school. Although it was difficult to keep up in a fast-paced environment, I was able to overcome the hardships through perseverance. 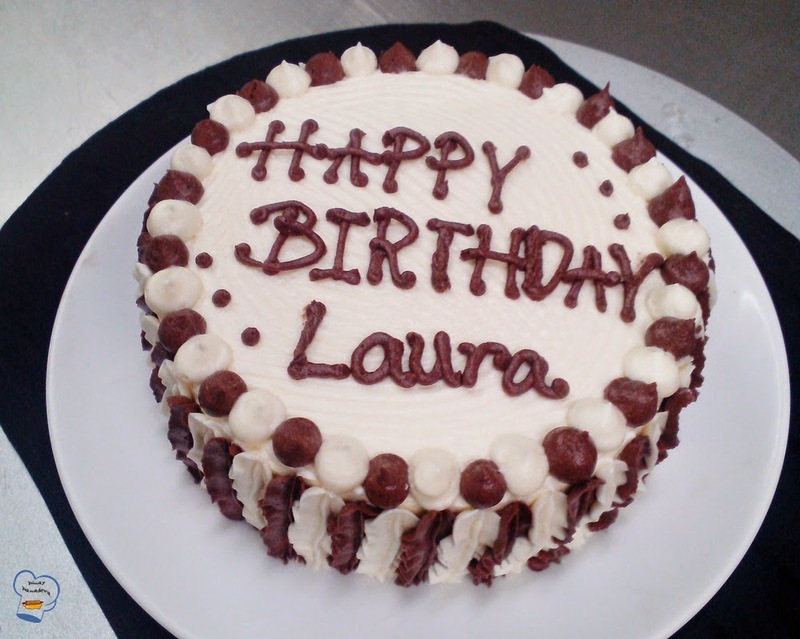 At work, my skills are tested when I get last-minute order for birthday cakes, It is quite a challenge I tell you. Not that I run out of ideas. I have plenty of them. The question is time. Given the nature of my job, it is not always possible to make what I have pictured in mind in a short period of time. I catered for a last-minute cake order last week. The request was chocolate cake. The filling and icing were left for me to decide on. 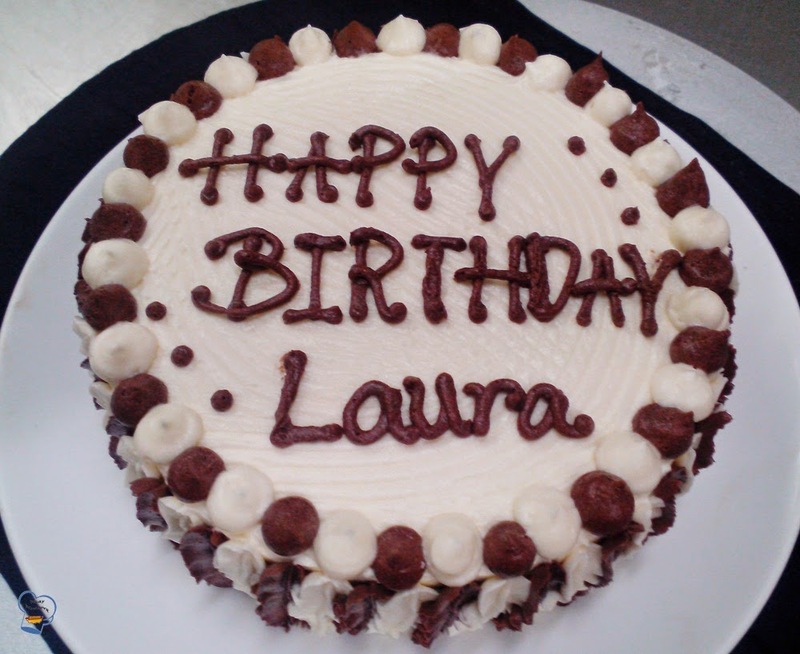 For this occasion, I thought a vanilla and chocolate combination would work best. I opted for classic butter cream to save time as it is easier to prepare than Swiss meringue buttercream. What I did to get two flavors was make vanilla butter cream and divide it into 2 equal portions. I set aside half portion and added cocoa powder to the other portion to make chocolate butter icing. That's what I used to sandwich the two cake layers. I coated the cake with vanilla butter icing. As for the design, I used two leaf piping tips for the side. 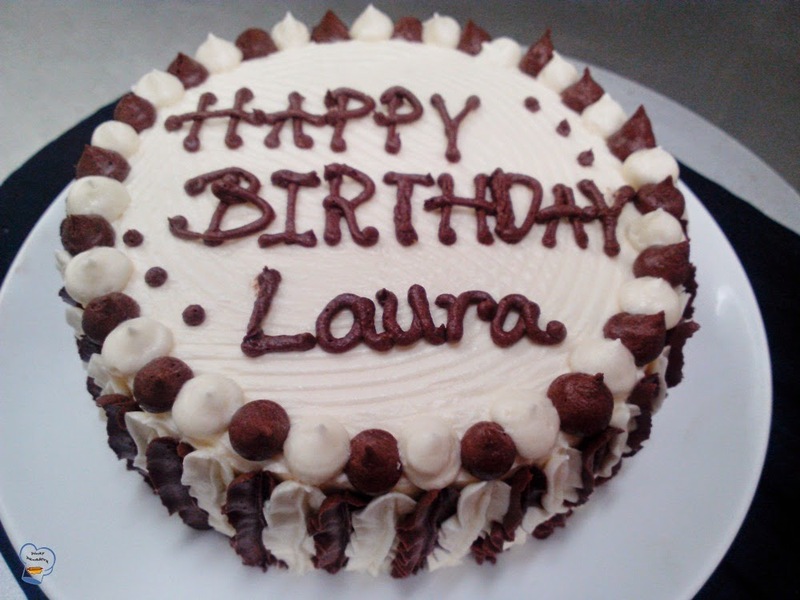 I piped the chocolate and vanilla butter cream alternately creating a beautiful finish to the cake. I used a round tip for the top.I should have written the inscription in small letters as I think it was too big for the size of the cake. Well, the mistake was already made. Redoing it would take time so I left it as it was. Anyway, it was one delicious cake.